Altamonte Springs, Florida is full of all types residential housing and is now one of the largest cities in Seminole County. Altamonte Springs got the name from all the spring fed lakes within Altamonte’s borders. 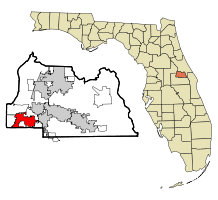 Altamonte Springs was first developed in the late 1800s. Given Altamonte Springs, FL close proximity to I4, Orlando and the beaches it has become a major area hub over the last 50 years. Have A Altamonte Springs Florida Appraisal Question ? For Mortgages, REO Appraisals, Bankruptcy, Employee Relocation, Review, Private Mortgage Insurance (PMI) Removal, Estate Planning, Divorce Settlement, Probate, Listing appraisals. FHA Approved.